← Why is so much of television so bad? 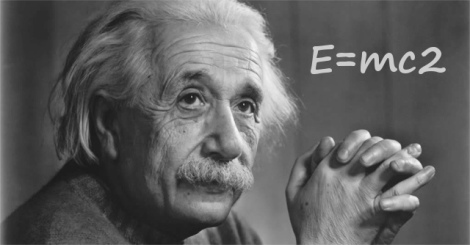 Unfortunately for Einstein, his groundbreaking 1905 theory that would be the foundation for a new way of thinking in physics – quantum mechanics (which gave us things like lasers, microprocessors and iPhones) – wasn’t embraced by this genius. It would be his undoing for the rest of his life. In the world of higher education, the importance of publishing in an academic journal is more revered than publishing on LinkedIn (where other forwarding thinking professionals hangout) or on a personal blog that’s available to the world. What once was – really isn’t anymore, except to those who cannot accept that today we live in a world made up of platforms, not products. Radio suffers from a similar dilemma. To traditional broadcasters, radio is something that needs an FCC license, radio tower, antenna and transmitter that sends a signal out over the AM or FM radio bands. I always smile when I look at my old Radio Telephone Third Class Operator Permit that I earned taking a test administered by the Federal Communications Commission at the Customs House in Boston back in 1968. Notice it had the world “telephone” in the name. Kentucky melon farmer Nathan Stubblefield was an early experimenter in radio broadcasting. Only Nathan wanted his wife to be able to talk to him while he was driving his car from their farmhouse. For you see, in those early days no one was quite sure what this new technology would or could be used for. “The next big thing always starts out looking like a toy,” says Chris Dixon. So when people started streaming over the Internet and calling it “radio,” traditional broadcasters looked down their noses at it in much the same way that journalists looked down their noses at the new media platforms like Buzzfeed and Vice Media invading their world. Einstein teaches us something more than E=mc2, it’s that we need to learn to accept the new platforms that disrupt the world as we knew it and are creating the world that will be. Radio, higher education – most likely your business too – cannot afford to be Einstein-like in our future thinking. The world is moving faster and faster. 50% of today’s jobs won’t exist in ten years. The iPhone, the Connected Car, Buzzfeed, Bitcoin etc are all platforms. Radio, colleges, newspapers etc. are all products. Understanding this dichotomy is critical. And so the choice in our world today is to adapt or die. Welcome to the age of disruption created by the Internet. Although it’s old (like me), my Bachelor’s degree from Kent State University, 1968 vintage was in Speech-Telecommunications; and, the media, whatever you call them, keep rolling on. Within a couple of months of completing studies for my B.A. at Kent, I had earned my FCC 1st Class Radiotelephone License, which seemed a pretty worthwhile attribute to ensure my employability. I had endless ups and downs in the radio racket. Although I am now a New Jersey Registered Municipal Clerk, radio remains part of my job. Our 3-square mile town has its own 10-watt AM Travellers Information Station which I control and maintain on the air 24-7, and which we particularly use for detailed information regarding true emergencies in our town. I know that the cyber-world – computers, iPhones, Smartphones and the like are everybody’s darlings. They proved how vulnerable and useless they could be made in Superstorm Sandy, which effectively cut all wired media and even impacted some wireless (over-the-air) media. Phones winked out as did tablets, computers, Cable TV and the lights. Sandy cut everyone from their now-traditional and heavily relied-upon info sources, but we kept on serving the community through our generator-powered AM station, broadcasting useful information on charging and warming centres, where community dinners were being served free of charge, which key intersections were now covered by officers on point duty, ermergency phone numbers covered by live, local personnel, how to deal with downed wires and the safe usage of home generators, not to mention emergency lighting. None of these lifesaving local details were available in hyperlocal format from commercial broadcasters, and definitely not by the web, by cell or other media. Our signal was loud and clear on home battery radios, crank radios and for miles around on car radios. Our local announcements were alternated with up-to-the-minute NOAA weather forecasts. North Plainfielders with a radio were amongst the best informed in our region. Result – no fatalities related to Sandy; plus, no major storm related injuries. Sandy was the litmus test for emergency media, and the cyber-media failed miserably. That was the original thought. But things are so far beyond that limited vision of what it would become. Yes you may with attribution to my blog site.